An internal investigation by the Tulsa County Sheriff’s Office appears to have determined in 2009 that training policies were bent in favor of the reserve deputy who killed Eric Harris this month when he mistakenly fired a gun instead of a Taser, according to CNN. 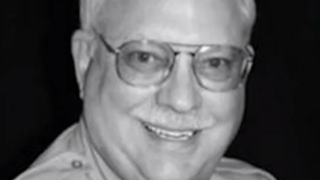 Robert Bates, 73, the Tulsa, Okla., reserve deputy who fatally shot Harris on April 2, was shown favoritism, and supervisors allegedly compelled employees to ignore policies to benefit Bates, CNN reports. CNN says that the Sheriff’s Office has not responded to repeated requests for comment. But in an interview with CNN’s Anderson Cooper on Friday, Clark O. Brewster, an attorney for Bates, disputed the findings in the report and maintained that his client received proper training, the report says. Bates is charged with second-degree manslaughter in the shooting death of Harris. He has pleaded not guilty. The shooting occurred when Bates allegedly inserted himself into an attempt by other officers to arrest Harris in a sting operation targeting illegal weapon sales.